Did you know that it turns out in ciwidey besides having Kawah Putih, also still save the exotic side of the crater tour result from the lemit of another reaching mountain that is not less interesting and unique, that is Rengganis Crater its name. Rengganis Crater is a natural crater location formed from natural processes that occurred millions of years ago, namely the eruption of ancient sunda mountain. Actually Rengganis Crater natural attractions in Ciwidey, Bandung Regency, West Java Province is better known to the community around the name Cibuni Crater, because it is located in the village area cibuni. Well, the name changed after the management of tourist attraction in ciwidey is managed by Agrowisata Rancabali, and then equipped with a number of tourist facilities so worthy to be a tourist destination that has the same attraction with other tourist attractions in ciwidey. If the White Crater is known as a natural crater that has a characteristic characteristic where the white sand and crater water that is always changing, the crater rengganis is more beautiful with shady trees and the number of rocks and the smell of sulfur is not too sting. 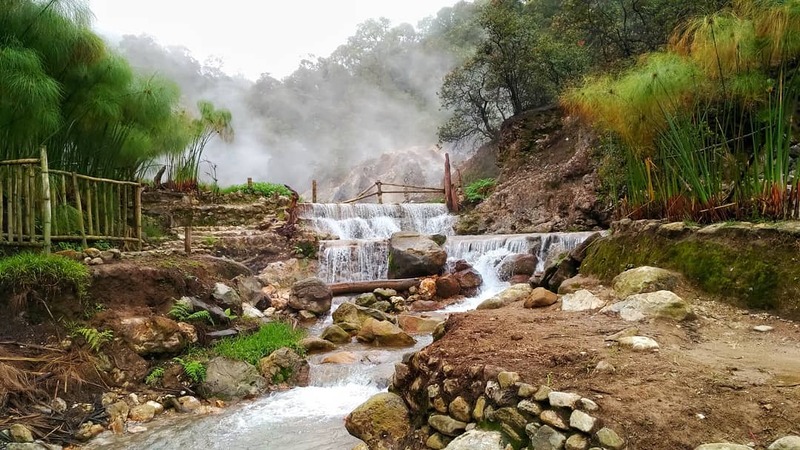 Here you will find a small geyser or hot springs whose water spurts upward, thus creating a lot of hot steam and can be used as a cheap natural sauna. Not only that, at the location of Kawah Rengganis Ciwdey also you can find the location of mud which diyikini efficacious to tighten and smooth your skin. Rengganis Crater Ticket Price is only Rp.5.000 / person only. Operational every day, Monday to Sunday, starting at 08.00 - 17.00 WIB.